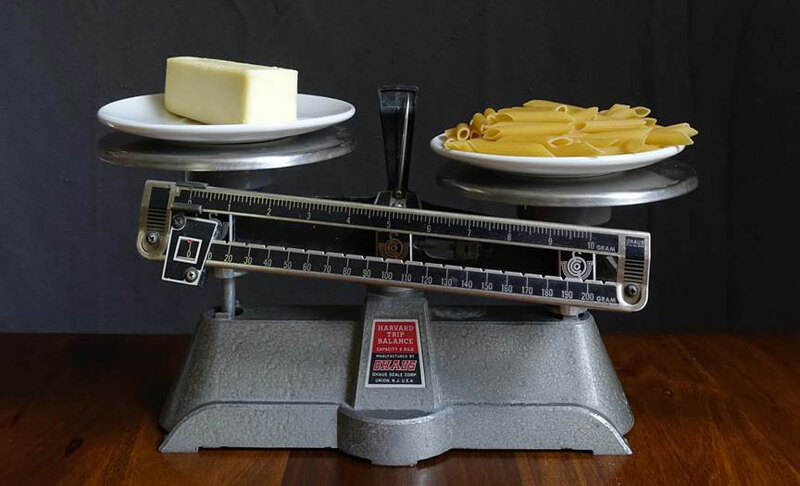 A US study has found a low fat diet is better at reducing body fat than a low carb one, although the authors caution against making sweeping conclusions on how to diet based on this small study. The study confined 19 obese adults to a metabolic ward where every mouthful was tracked and controlled. Since 2003, Kevin Hall, PhD--a physicist turned metabolism researcher at the National Institute of Diabetes and Digestive and Kidney Diseases--has been using data from dozens of controlled feeding studies conducted over decades of nutrition research to build mathematical models of how different nutrients affect human metabolism and body weight. "A lot of people have very strong opinions about what matters for weight loss, and the physiological data upon which those beliefs are based are sometimes lacking," Hall says. "I wanted to rigorously test the theory that carbohydrate restriction is particularly effective for losing body fat since this idea has been influencing many people's decisions about their diets." Studying the effects of diet on weight loss is often confounded by the difficulty in measuring what people actually eat--participants may not adhere to meal plans, misjudge amounts, or are not truthful in follow-up surveys. To counter this, Hall and colleagues confined 19 consenting adults with obesity to a metabolic ward for a pair of 2-week periods, over the course of which every morsel of food eaten was closely monitored and controlled. "There is one set of beliefs that says all calories are exactly equal when it comes to body fat loss and there's another that says carbohydrate calories are particularly fattening, so cutting those should lead to more fat loss," Hall says. "Our results showed that, actually, not all calories are created equal when it comes to body fat loss, but over the long term, it's pretty close." Hall does caution against making sweeping conclusions about how to diet from this study. The study's purpose was to explore the physiology of how equal calorie reductions of fat versus carbs affect the human body. The research is limited by its sample size; only 19 people could be enrolled due to the expense of such research and the restrictiveness of the carefully controlled protocol. However, this study clearly reaches statistical significance. In addition,, the menu that the participants followed does not emulate normal dieting and does not account for what diet would be easier to eat over extended periods. "We are trying to do very careful studies in humans to better understand the underlying physiology that will one day be able to help generate better recommendations about day-to-day dieting," Hall says. "But there is currently a gap between our understanding of the physiology and our ability to make effective diet recommendations for lasting weight loss." Hall recommends that for now, the best diet is the one that you can stick to. His lab will next investigate how reduced-carbohydrate and reduced-fat diets affect the brain's reward circuitry, as well as its response to food stimuli. He hopes these results might inform why people respond differently to different diets. This metabolic ward study was small and short because such meticulous monitoring is expensive and unsuitable for long-term study. It is valuable to explore the physiological effects of restricting fat or carbohydrate. Note however, that the authors' modelling from these results showed pretty close effects for body fat losses. Ultimately, any weight loss plan needs to be healthful and maintained for life. That means looking at foods rather than concentrating on macronutrients such as fats or carbs. There are healthy food sources of both fat and carbohydrate that are much better choices than are currently being made. Healthy food sources of fat include oils such as extra virgin olive oil, nuts, seeds and avocado. Healthy food sources of carbohydrate include wholegrains, legumes, fruit, milk and yoghurt. Sadly, in Australia, 35% of adults' and 41% of childrens' kilojoules now come from junk foods and drinks. These are high in both undesirable fats and carbohydrates and we should direct our attention to these rather than simply pitting fat against carbs. The main point of this study is that it pitches science at fad diets and disproves assumptions that cutting out carbs will give a physiological edge in weight loss. But before we run off thinking the message is to totally avoid fat, pause to think. The researchers are correctly cautious not to over translate their findings. They describe how by cutting out carbs the body uses its alternative fuel source - fat. Remember this is also delivered in the carb reduced diet. On the other hand, cutting back on fat meant the body went into negative fat balance. This was measured in physiological terms. The whole body measure (DXA) could not pick up any difference in body fat, even after 6 days. The authors also correctly acknowledge that in everyday life simple food choices mean the variation in diet composition will be substantial, so even if we see something under controlled conditions it may not be relevant to everyday life. And there’s more. We know that not all carbohydrate in food is equally accessible by the body. Highly refined foods appear to deliver more than foods closest to their natural state. The same goes for fat, and beyond that, there is a big difference in the type of fatty acids that are delivered by fat rich foods. What really matters is the type of foods you choose to eat. So this research is really interesting and adds a great deal to discussions amongst scientists. But for consumers, let's make sure it does not get lost in translation. We need to take this beyond the physiology of carbs and fat to food choices. The best message at this point in time is to eat foods described in dietary guidelines that have reviewed the totality of evidence for their diet effects. These include foods that deliver carbs in whole food forms, such as vegetables, legumes, fruit, whole grains and yoghurt. It is also foods that deliver the right kinds of fat in a whole food, such as nuts, seeds, whole grains, avocados, lean meats, fish and culinary oils. This well-controlled study provides high quality evidence about what will occur metabolically if an obese patient follows exactly as prescribed a specific reduced fat or reduced carbohydrate weight loss diet for two weeks. However, these results cannot be simply translated to what would occur if the diets were prescribed during a sustained period of free-living, in which people have individual control over what they eat. During free living, numerous factors such as appetite and food advertising, price and availability can play a role in regulating how closely people adhere to a prescribed weight loss diet. Indeed, such factors that influence how much and what a person eats are likely to have a greater impact on long term weight control than a relatively small metabolic advantage pertaining to a particular diet. The basis of a good weight loss program is a diet that people can stick to, and this will vary for individuals! This study only examined changes over 5 days and showed, as claimed, that there was more fat loss on the low fat diet over this period of time. However more changes will occur with time and the differences will disappear. That is long term a calorie is a calorie – the body just takes a while to switch its metabolism to match what it burns to what it consumes and 5 days is not a reflection of what occurs long term. So there are no new findings from this study. The size is not a problem for a study like this.